Are We Alone on Vita Island? While I was listening to the PS I Love You XOXO with hosts Colin and Greg, they discussed a concept of Vita Island. Vita Island is populated with people like me who have an undying love of the Vita handheld that Sony has publicly abandoned and have possibly unrealistic hopes for its future. I thought this concept was genius considering I am the only person out of my gaming friends who owns the system and I consider it almost as valuable as my consoles due to its portability. 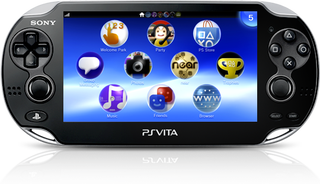 I could ask the question that everyone on Vita Island has asked which is why did Sony abandon this platform? It could have been the barrier to entry in comparison to the 3DS which was its price. I brought the wifi version because I knew I was not going to pay for a separate data plan for it but I also knew that I was going to buy it day one because I own and loved my PSP. The graphics that it could potentially put out were so much greater in comparison to the 3DS I couldn’t imagine anyone not adopted the system if they loved the PSP. The other issue may have been the lack of first party support. I’ll admit, I don’t remember many of the launch games but I knew that Persona 4 Golden was coming out so I was going to buy the Vita on the strength of that alone. But still, I guess the system “failed”. I would be prone to disagree with that simply because of the plethora of JRPGS and visual novels available on the device. I have always been curious about visual novels and was glad to experience them on the system. And a lot of the niche or controversial games like Criminal Girls or Dungeon Travelers that we KNEW weren’t going to make it to the West made it over on the Vita. To me, this system has been a great success and I’m saddened at the prospect of Sony never making another handheld system or dumbing down the specs to appeal to the masses. Either way, I am a willing and active member of Vita Island along with the Colin and Greg and I encourage others, especially if JRPGs and niche titles are for you, to join us. I don’t think you will regret it.